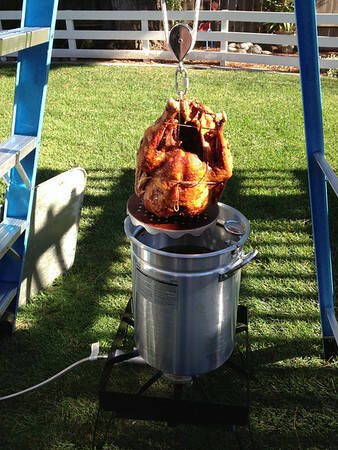 The turkey derrick is all set up and ready to go. Just waiting for the oil temp to hit 250F. Here’s the bird mid-fry. It looks absolutely volcanic in there. All done. Just need to let it cool down before carving it up and serving. The meat was very moist, and the skin was crispy and incredibly tasty. 10/10. Will fry again. 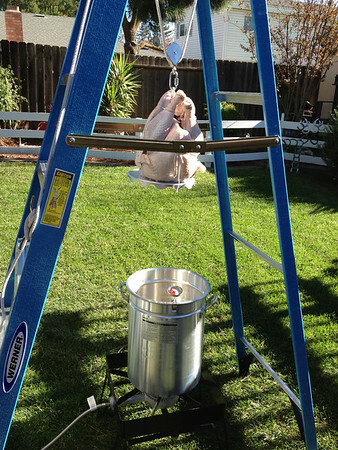 * Much credit goes to Alton Brown for providing the plans for the turkey derrick. 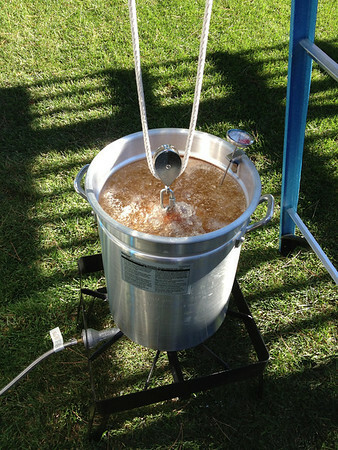 This entry was posted in Blog and tagged "turkey derrick", alton brown, thanksgiving on November 26, 2012 by Jon Sagara.